The popular understanding and the overall pathology of heart attack and stroke is dependent on the fact that the fat present in the food we eat, clogs or blocks the arteries thus leading to the disease! But the fact is beyond all, the arteries are also known to get clogged due to the bacteria present in our guts and mouth! Plaques build up in the arteries thus blocking them and restricting the flow of oxygen-carrying blood to the vital organs. This process results in serious health problems including death! As we all think the food is not the only culprit of this process, because there are people who on regular consumption of fat-rich food still remain healthy! This led to the study to identify the other possible cause for plaque formation or clogging! 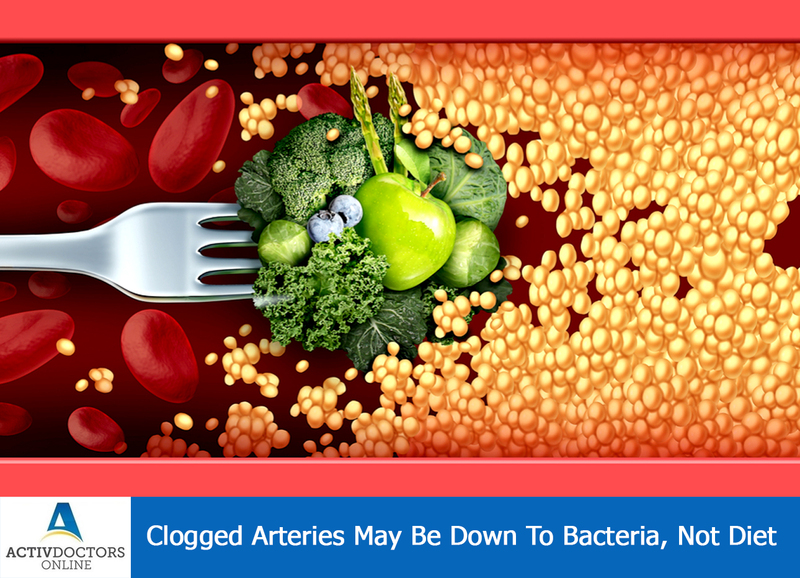 A study was conducted and was found that the lipids produced by certain bacteria are involved in the process of clogging arteries. Bacteroides are a group of bacteria which are the normal habitats of mouth and gut. However, under certain conditions, they give rise to certain gum disorders. The bacteria can themselves not invade into the bloodstream but the lipids produced by them as the ability to invade the bloodstream, and clog the arteries! Now the studies have started to understand the process behind the bacteria and their role in clogging! !